Lee was born in the wagon of a travelling show, his mamma would dance for the money they'd throw. His papa would do whatever he could, preach a little gospel, sell a couple bottles of Doctor Good! 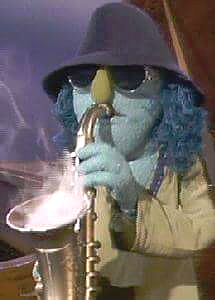 Lee was a guitar player, but lurking deep within was a fervent desire to learn the coolest of all instruments. . . . the saxophone! But there was a stumbling block to this master plan, which was the high initial financial outlay for a sax, which he couldn't bring himself to pay in case it all went pear shaped! Salvation came in the form of a sax playing friend, who wanted to learn the guitar. 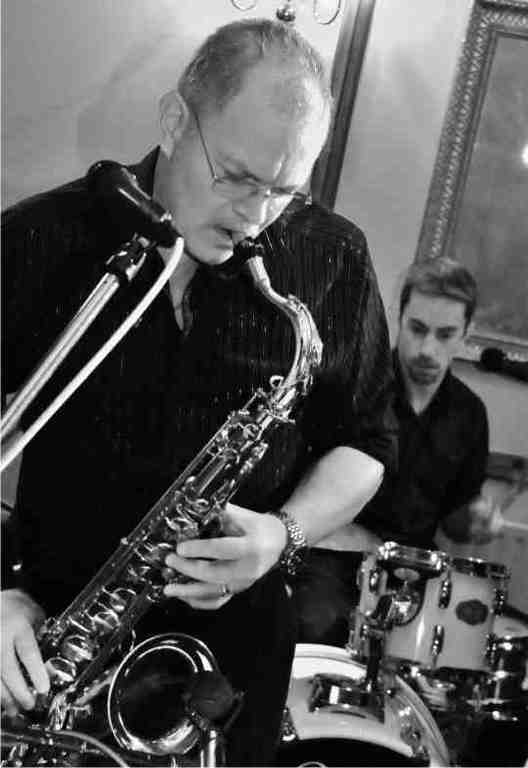 So Lee swapped a battered Les Paul Custom for a showroom condition Sonora tenor sax and a potential legend of the horn was born! 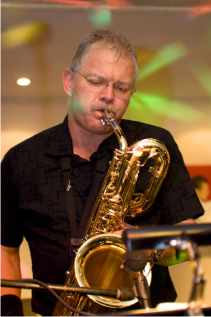 During the late 80s and early 90s Lee was taught by Howard McGill, one of the foremost young jazz sax players in the UK and a member of The National Youth Jazz Orchestra, now with the BBC Big Band, and attained The Associated Board Grade 8 for B flat saxophone in 1994. At the same time he was playing sax and guitar in an 8 piece soul band called "The Brass Monkeys". They were a very popular band gigging the UK regularly. His stint with them culminated in a season at Ceaser's Palace nightclub in Luton supporting the likes of Freddie Starr, Bernard Manning, Roy Chubby Brown and Jimmy Jones. 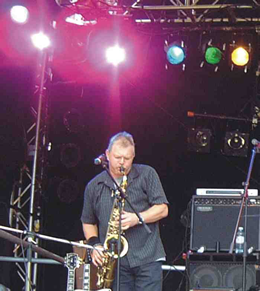 The Brass Monkeys eventually split up and three of its members including Lee formed "The Control Freaks" in 1997, another successful band out playing every week. 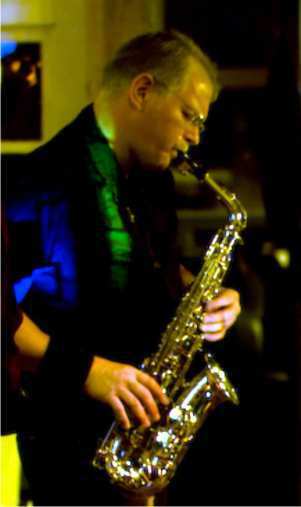 Between 2006 and 2012 Lee played sax for 2 function bands, "Third Party" and "Funky Business". 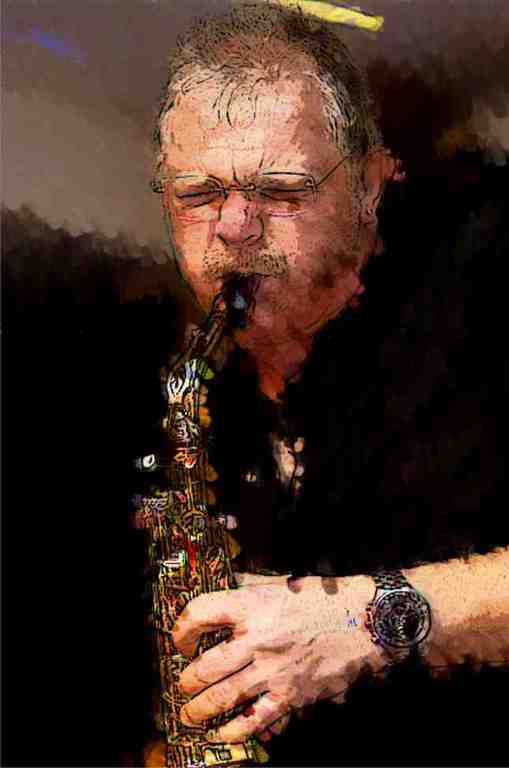 In 2012, The New Foundations came calling, and Lee has played sax for them to the present. 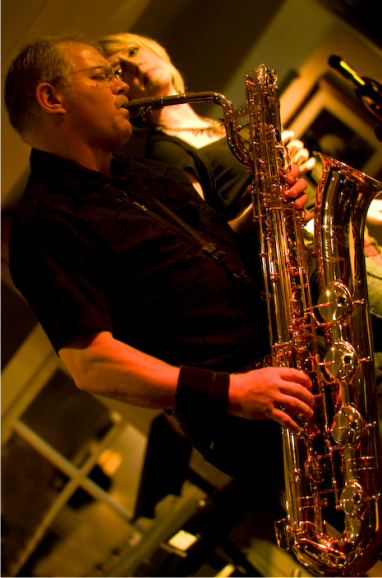 Lee plays a Selmer Super Action 80 MkII tenor sax with Guardala King mouthpiece, Selmer Super Action 80 MkII alto sax with Dukoff M7 mouthpiece, and a Yanigasawa B990 baritone sax with Berg Larsen 110/2 SMS mouthpiece.